The hot ticket in Hollywood, California on Wednesday night was the premiere of Walt Disney Animation Studios’ ‘Zootopia’ at the El Capitan Theatre. Celebrities, and their families were on hand to be the first to see the flick that revolves around the mammal metropolis. 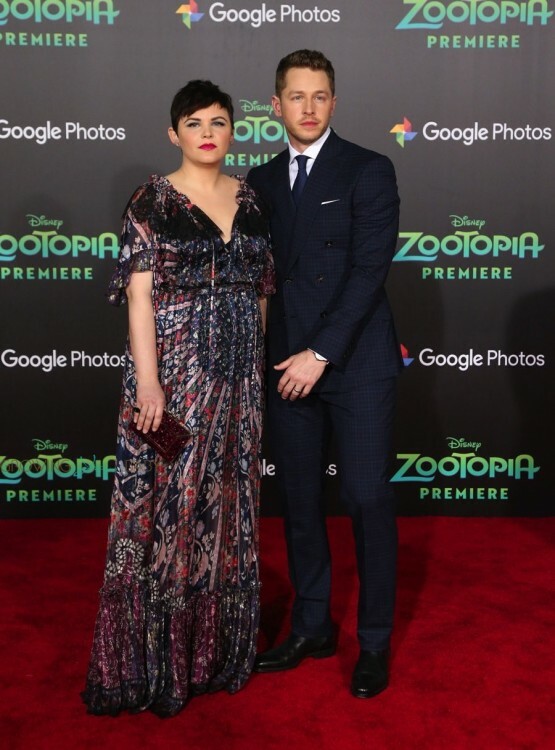 Second time mom-to-be Ginnifer Goodwin showed off her growing belly while posing on the red carpet with husband Josh Dallas. At the premiere she spoke about being pregnant, and having a toddler to look after. Dancing With The Stars pro Allison Holker is due in just a couple weeks, but she looked incredible in a teal ruched dress! Also spotted on the red carpet was Lindsay Price and her oldest son Hudson. 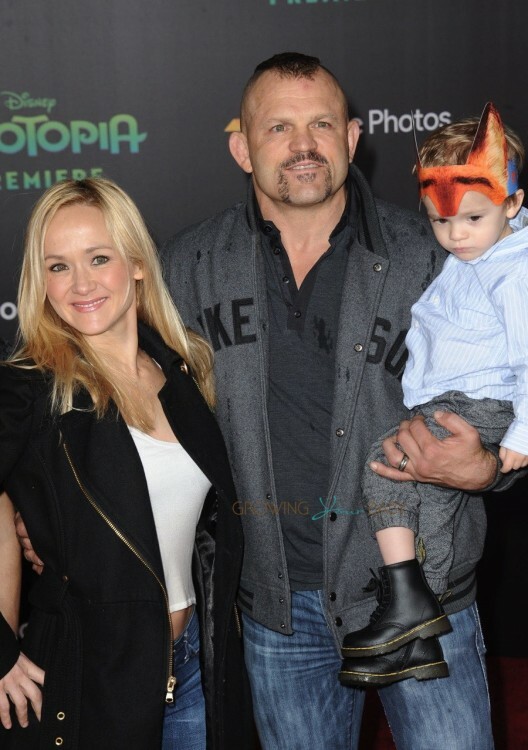 Tough guy Chuck Lidell was photographed with his girlfriend Heidi Northcott and son Charles. The movie has staggered openings around the world. It first premiered in Denmark on February 12, and will officially hit the big screen in Canada and the United States on March 4th, 2015.